The second round of #TBRTakedown Round 2.0 starts on Friday. I announced my TBR on Instagram and Twitter so here is the actual blog announcement! Woot! Alive by Scott Sigler is my most recent haul book. 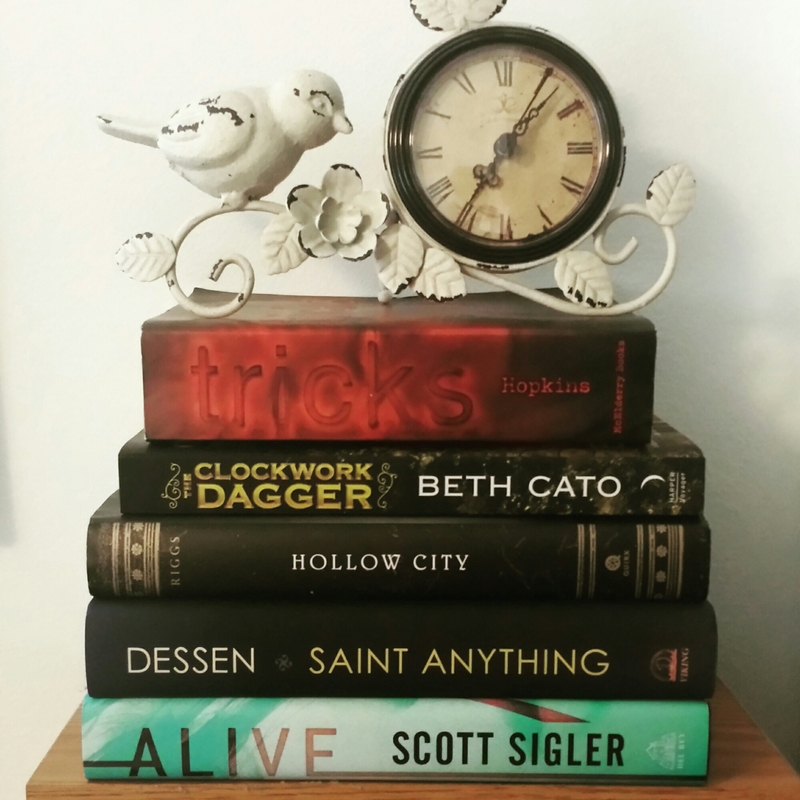 Clockwork Dagger by Beth Cato is the first in a series. Hollow City by Ransom Riggs is my unread sequel. Saint Anything by Sarah Dessen is out of my comfort zone and Tricks by Ellen Hopkins has been on my shelf for over a year! That should take care of all the challenges and I have a few additional reads set back and on my kindle. TBR Takedown was created and hosted by the lovely Shannon at LeaningLights on Youtube!